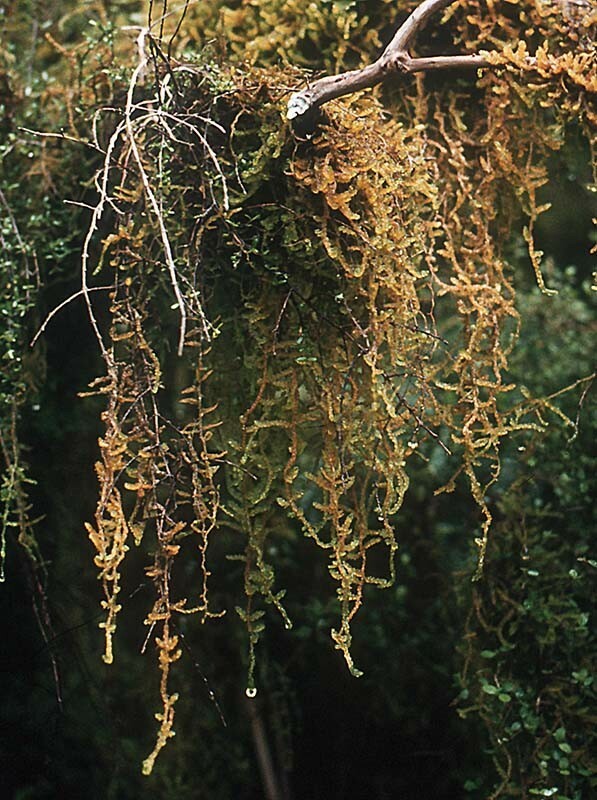 Weymouthia cochlearifolia - The overlapping leaves are broadly ovate and concave. 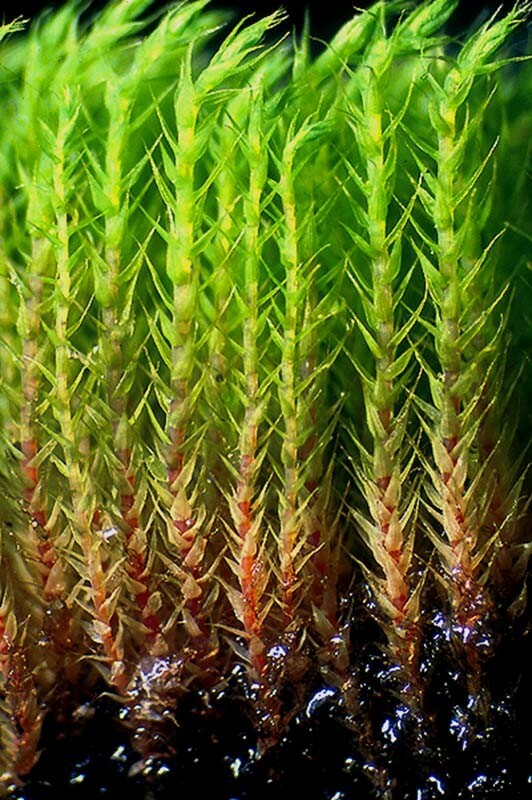 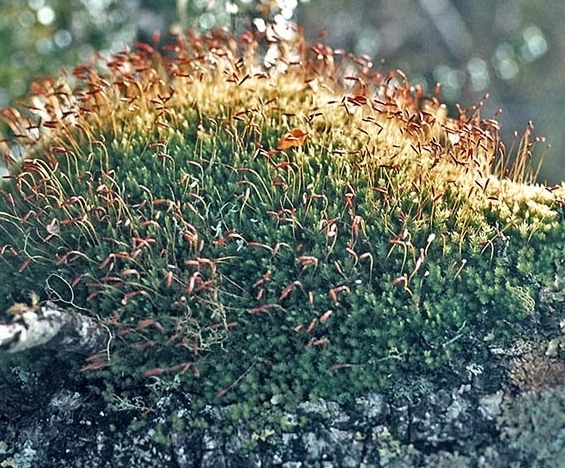 Macromitrium sp.- A small creeping moss, common on trunks or branches of smooth-barked trees or on rock. 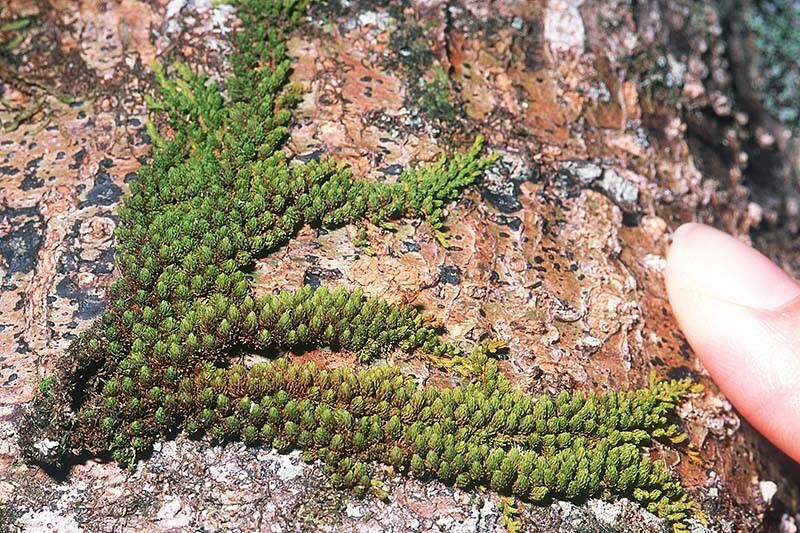 Leptostomum macrocarpon (syn., L. macrocarpum) - A moss with short erect stems arranged into compact cushions. 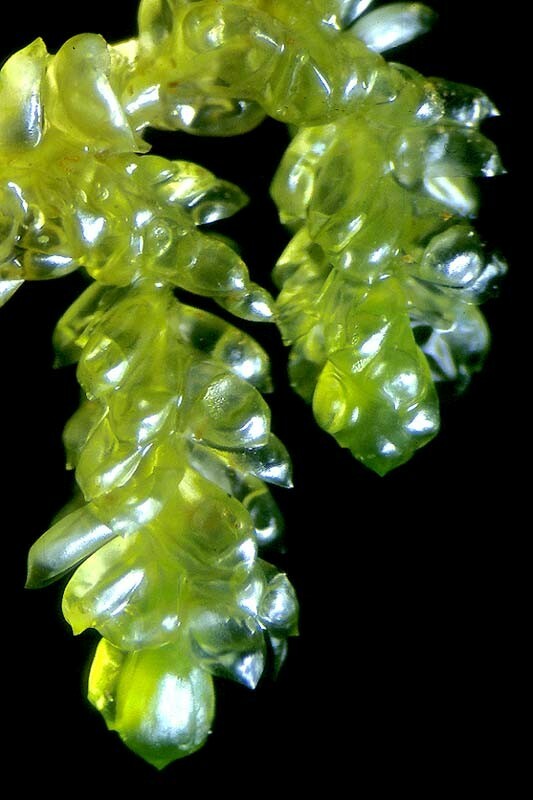 Leptostomum inclinans - A cutaway view of the cushion to show the individual stems. 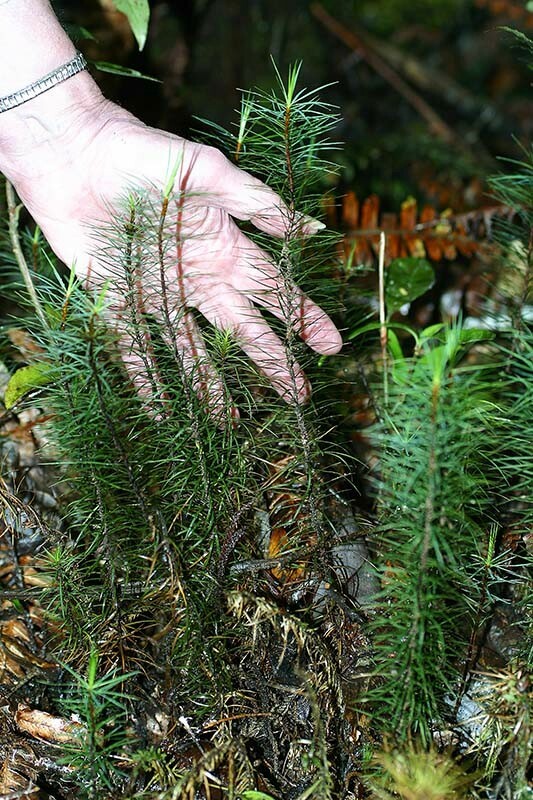 Dawsonia superba, the largest moss in New Zealand, with unbranched stems sometimes reaching heights of 50 cm and 35 mm long leaves.